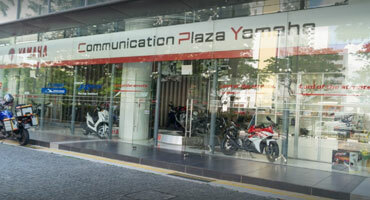 For the last 40 years, Hong Leong Corporation has been the Sole-Distributor for Yamaha Motorcycles in Singapore. Yamaha currently enjoys the largest market share of Motorcycles on the road in no small part due to Hong Leong's commitment, experience and infrastructure of its Motorcycle distributorship. Contributing and complimenting to this success is the astonishing varieties of Yamaha Motorcycle models from reliable commuter bikes such as RD125 to luxury tourers in the shape of the Royal Star Deluxe Superduper to the blistering performance of the R1. We will diagnose and repair defects without your having to worry whether you are paying for unnecessary parts or are being swindled. Our reward is your bike's speedy turnaround. Our dedication to affirming your correct choice in buying a Yamaha Motorcycle means we will do our utmost to make your maintenance experience a pleasant, reassuring one. Why buy from us instead of a parallel importer? You may be toying with the notion of purchasing our Yamaha Motorcycle from a Parallel Importer instead of machines imported by us. 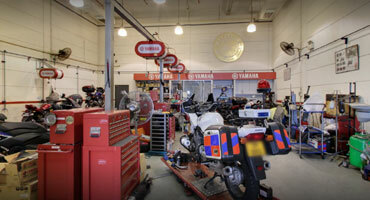 Preferential service from our well-managed Yamaha Service Workshop. Our Mechanics are constantly sent for upgrading to service Yamaha specific engines. Yamaha's Service Warranty for all new motorcycles purchased from our Sole-distributorship. Yamaha's worldwide recall - if we recall any machines for upgrades or safety modifications, parallel purchased bikes will not qualify. Warranty claims for defective parts. 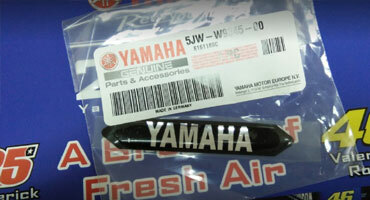 Yamaha's excellently stocked yet affordable in-house parts inventory. Having bought an advanced state of the art Yamaha motorcycle, you want to take exceptional, consistent care of your machine to guarantee years of trouble free motoring ahead. 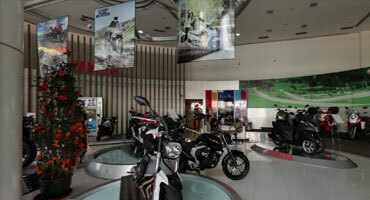 Put your maintenance & repair needs ONLY in the hands of our Yamaha After Sales Service Centre. Experienced riders look at costs and availability of parts before deciding which brand to purchase. In an intricate modern machine, parts still need replacing due to wear and tear. A quick turnaround time and availability of affordable parts makes the motorcycle ownership experience a less stressful one expecially if you buy a Yamaha motorcycle and buy your parts direct from us and have our experienced mechanics install these parts for you. In short, we're a one-stop solution from purchase to upkeep to your next Yamaha purchase!